Phang Nga Elephant Park is a unique, small and family - run ecological park, rather than a part of a large tourist organization. The family of the park's operators has been very closely related to elephants. People are the biggest friends on earth. 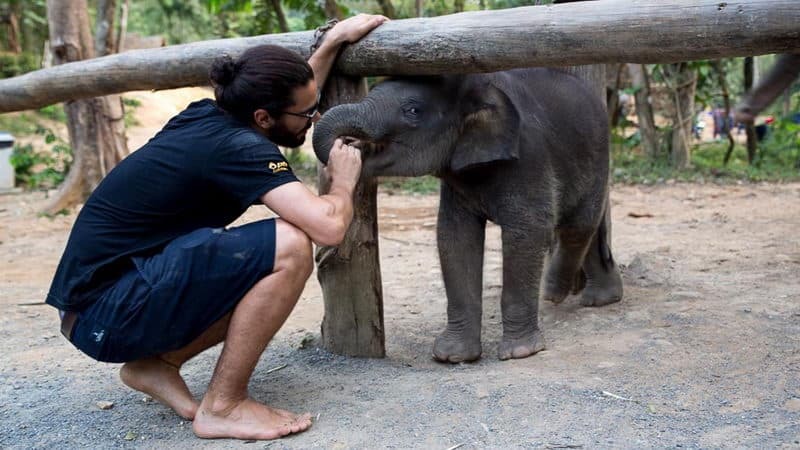 They have been taking care of elephants at home for 150 years. In the past, elephants worked in forests where timber was transported liked western horses. See more Elephant Sanctuaries & Tour Packages. The Elephant Park is located in Thung Ka Ngok which is a small village nears Phang Nga. It just cost about 20 minutes to the phangnga town. Phang Nga Elephant Park is adjacent to the nature reserve which is located in a beautiful, amazing and wild fertile forest. Therefore, the park is separated from the common scenic spot. The visitors can be safe and natural to visit the Thailand countryside. Phang Nga Elephant Park opened in 2015. The park will put the elephants that are domesticated by their family in a caring and stress free environment, and provide a very special experience for the visitors. Today, the elephants show the beautiful countryside around the park to the tourists. 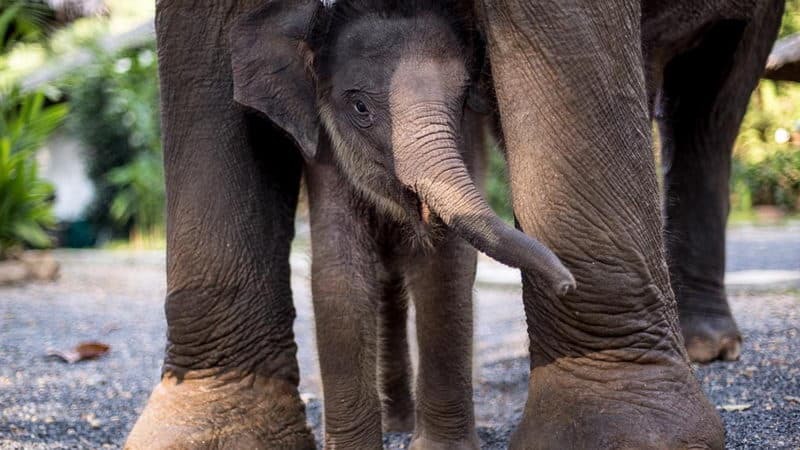 Every elephant is a member of the family, and they all have their own name and different personality. Although Phang Nga Elephant Park is located in the countryside, they know what visitors need. So, all of services the park provides are very high standard. There are excellent shower and bathroom facilities, a cafeteria, souvenir shops, a large number of quiet space, and free Wi-Fi which is coverage in most parts of the connection. The park will offer the complimentary transfer services for our guests who stay in the Khao Lak, Phang Nga, Phuket, Krabi and Khao Sok areas. 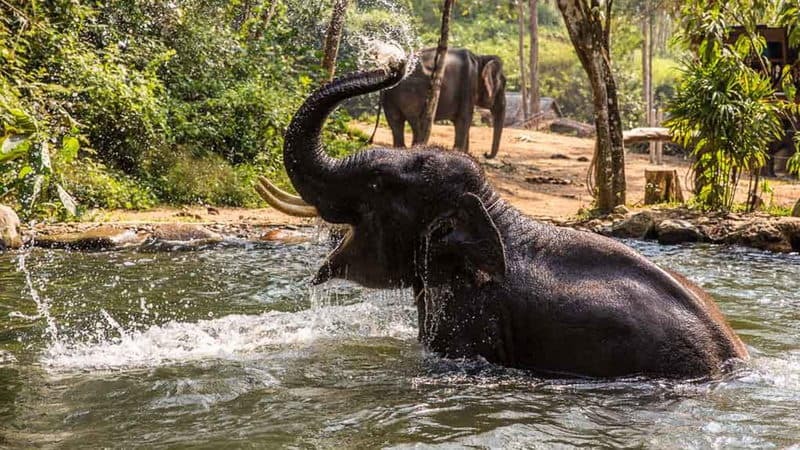 Visitors will experience an incredible day, communicating with elephants and building relationships at the same time when they visit to the Phang Nga Elephant Park. The park provides two different plans, which are the Half Day Elephant Care Program and the Family Elephant Experience that you can take a bath with the elephants and feed the elephants with children. The park will provide an experienced English guide for each visitor. They will accompany the visitors to visit the park. The tour guide will tell the tourists the history of the elephants in Thailand and the role of Asian elephants in Thailand culture. The services provided by the park include the air-conditioned relay from the hotel to the hotel and the traditional Thai lunch. What's more you will be provided free tea during the visit.